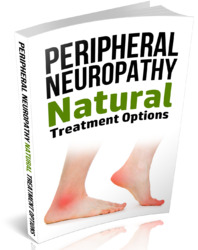 This section examines the structure of an interesting, ubiquitous, neuro-sensory array, that of the arthropod CE. The most important arthropod classes include insects, crustaceans, and arachnids. Other animals either have primitive photoreceptor arrays, or in the case of vertebrates and certain mollusks (including the octopi and the squids) have two sophisticated "camera" eyes, each with a single lens that focuses an image on a neuro-sensory array, the retina. 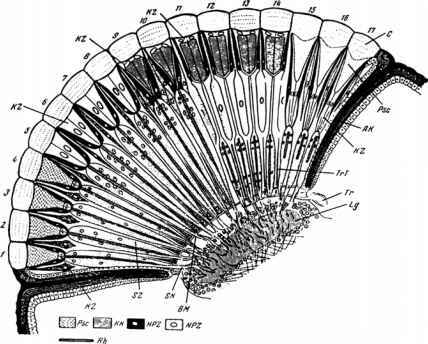 Compound eyes, as the name suggests, are made from many fixed, subunits, each consisting of a cluster of photoreceptor cells (retinula cells) arranged radially around a common center. Each such cluster of receptors has its individual lens. CE lenses are not classic, convex, spherical lenses with surfaces defined by fixed radii, but rather more like cones attached to light pipes; their purpose is not to image an object on a sensory array as is done in the vertebrate eye, but rather to collect light over a narrow acceptance angle over the lens, and to conduct it to the receptor cells. The whole assembly of dioptric apparatus and receptor cells is called an ommatidium. 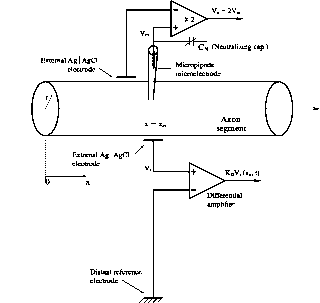 The CE as a whole may be considered to be a discrete, spatial sampling array. 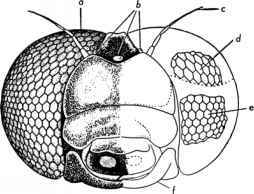 Figure 5.1-1 shows a schematic frontal view of the face of the dragonfly, Libellula quadrimaculata. The individual corneal facets define the ommatidia. There are about 104 ommatidia per eye in this insect, which has excellent vision; it catches its flying insect prey on the wing. Its eyes wrap around the front of its head to give it the equivalent of binocular vision, in which vergence theoretically can be used to estimate object range. Dragonfly eyes are interesting in that they have an "equator" or horizontal meridian that divides each CE into two anatomically different halves. The ommatidia in the upper half are about 1.3 times larger than those in the lower half, suggesting that visual resolution "below the equator" is higher than above it. The dragonfly normally attacks its prey from above. In general, insects that rely on chemosensors and touch more than vision appear to have fewer ommatidia per eye than do highly visual insects. Also, because ommatidial size is relatively fixed, smaller insects have fewer ommatidia per eye. The cockroach Periplaneta americana has about 2000, the housefly Musca domestica has 3500 to 4000, the worker bee Apis mellifera has 4000 to 5000 ommatidia per eye (Mazokhin-Porshnyakov, 1969). Figure. 5.1-2 illustrates a coronal section through a "composite" CE, showing the different types of dioptric apparatus and retinula cells making up various types of ommatidia found in different arthropods. The first neural synaptic layer in the OLs, the lamina ganglionaris, is shown at the base of these ommatidia. Note that many CEs undergo dark/light adaptation by the migration of pigment in cells that surround the retinula cells in each ommatidium, or in the retinula cells themselves. In the dark, visual resolution is traded off for sensitivity because screening, light-absorbing pigment is moved radially inward, away from the eye's surface. This unshielding of ommatidia allows oblique light rays to excite retinula cells in more than one ommatidium. Thus, the angular sensitivity is broadened and visual resolution is lost. In the daylight, the pigment migrates outward, shielding individual ommatidia from oblique light. This shielding results in an increase in visual resolution (the directional sensitivity function is sharpened), but a loss of light sensitivity. In a light-adapted CE, it is generally possible to see a pseudopupil. The pseudo-pupil is a small, dark area on the surface of the CE facing the observer where light enters the eye nearly perpendicular to a small group of ommatidia, and is absorbed. Insects that literally live by their vision such as dragonflies and praying mantises have very small pseudopupils, indicating high visual resolution. In a dark-adapted CE, the pseudopupil is significantly larger than that of the light-adapted eye. How many retinula cells make up an ommatidium?